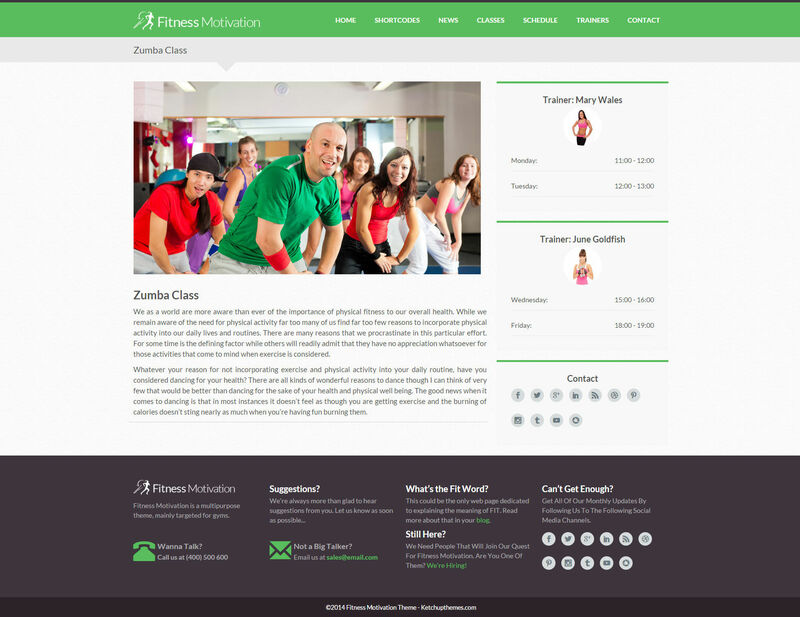 Fitness Motivation Theme is built on Twitter Bootstrap Framework so it is viewed easily on every device. 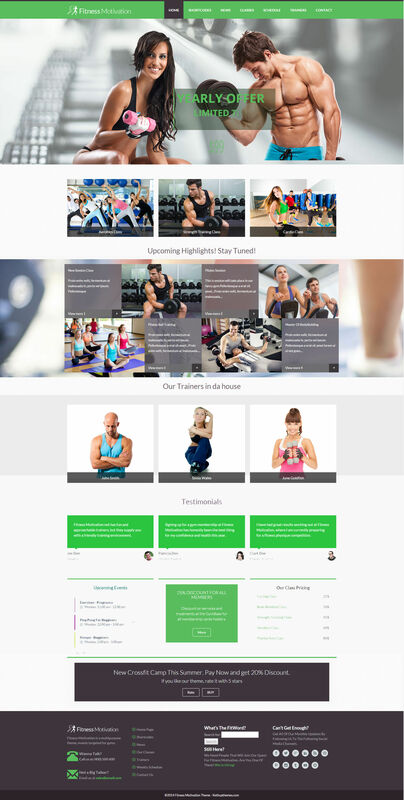 Fitness Motivation Theme includes “Revolution Slider Plugin” which is one of the most sold and feature-rich plugin in Codecanyon Repository. Grid Settings in special pages. Newsletter Settings. Fitness Motivation Theme integrates seamlessly with Mailchimp Mail System. Social Settings with over 8+ social networks. 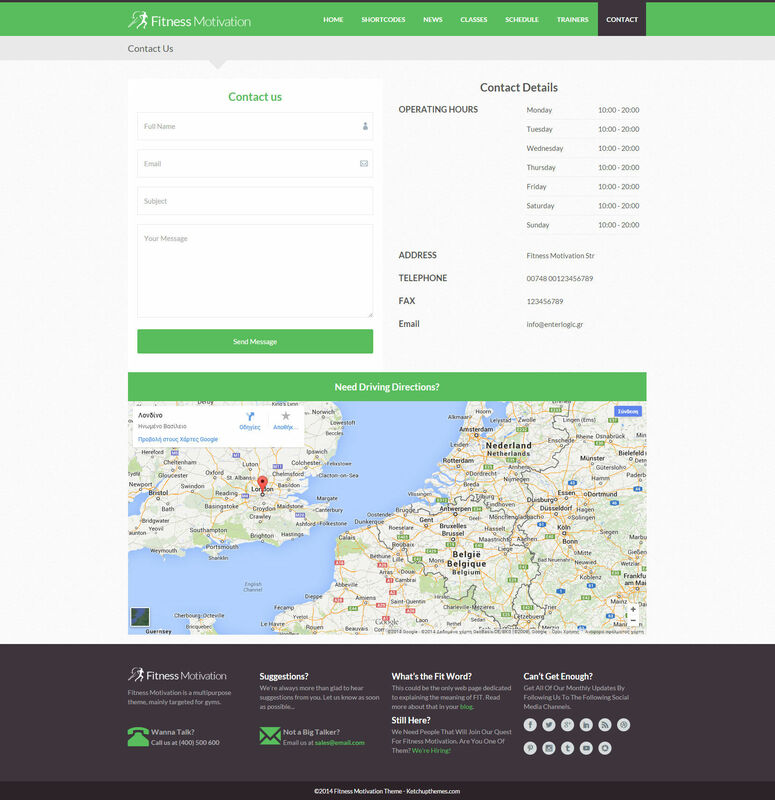 Custom Email form settings + Google Map embeds. Simple Opening Hours Options and settings. Custom Widget for Class Schedules. Upcoming Events – This widget is created from the timetable plugin. Revolution Slider – This widget is created from the Revolution Slider Plugin. Section Background or Image Shortcode. All Twitter Bootstrap’s Shortcodes straight from the WP Editor Screen. Revolution Slider Shortcode – From the Revolution Slider Plugin. Timetable Shortcodes – From the Timetable Plugin. 4 Custom Widget Areas that will enhance your First Page. Classes Grid Page (2-3-4-6 Columns). Special Timetable Page by Using the Special Timetable Shortcode. In Most Post Types you can select sidebars. 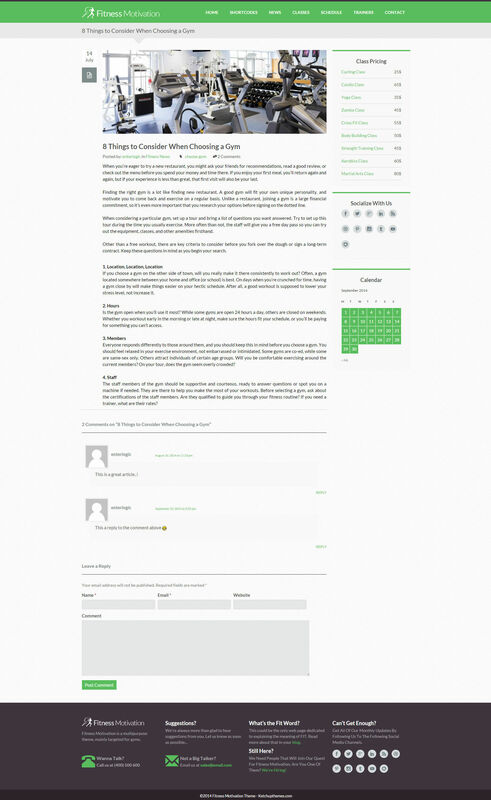 Homepage Left Sidebar (1/3 Columns). Homepage Middle Sidebar (1/3 Columns). Homepage Right Sidebar (1/3 Columns). 10 Custom Sidebars To fill with widgets and choose where to show each one..
Video Post Format + Youtube or Vimeo + Youtube Playlists.